I’m back with a new beauty post! I know. It’s been awhile. I am hoping that this will be the first of many more new ones to come. I’ve been trying to play around with different ideas for shooting them and my goal is to get better each time. 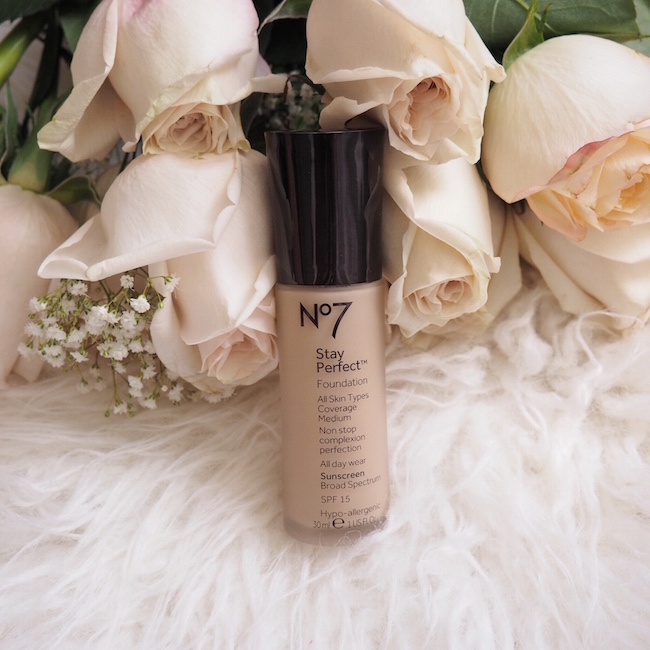 For today’s post, I’ve teamed up with one of my favorite drugstore brands and the #1 beauty brand in the UK, Boots No7, to try out their new Stay Perfect foundation and to find my perfect shade. Let’s just say, I found my match. Stay Perfect comes in 13 different shades and my match was with Deeply Beige. Some of the others were a close fit, but either too dark or too light for my liking. I’ve been using this for a little over a week now. 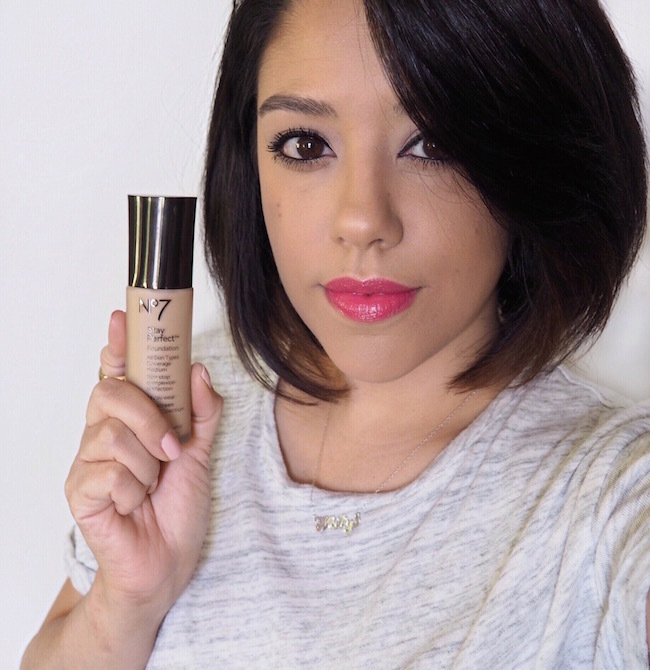 Another thing that I really like about the foundation is that it gives me an even-toned complexion with no blotchiness. 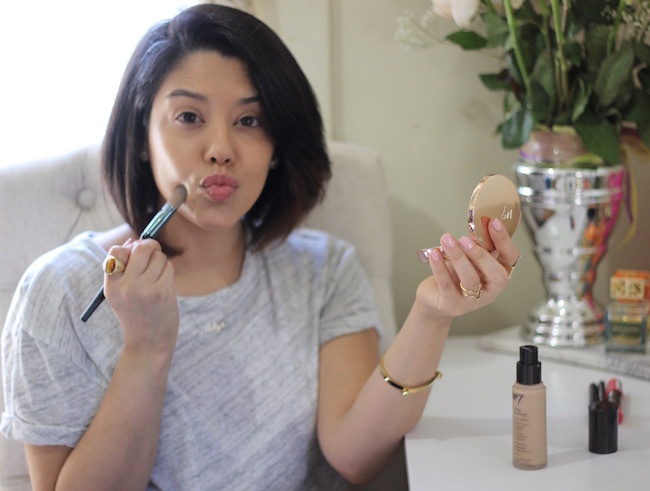 I hate when foundations do that! When it comes to applying they suggest using your fingertips or a sponge. 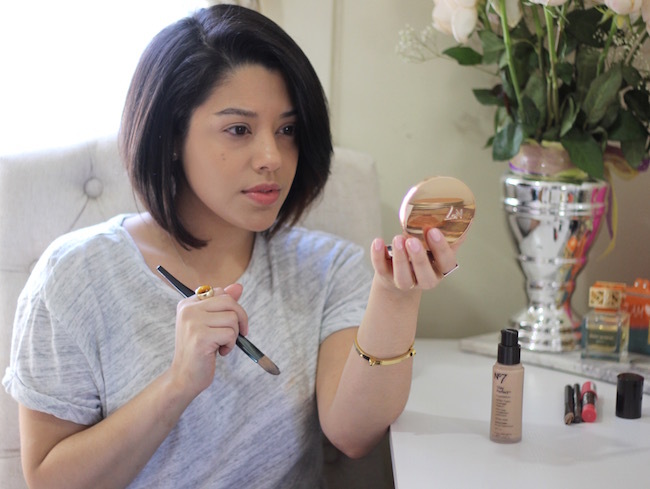 I typically switch back and forth between a brush as seen here or a beauty blender. 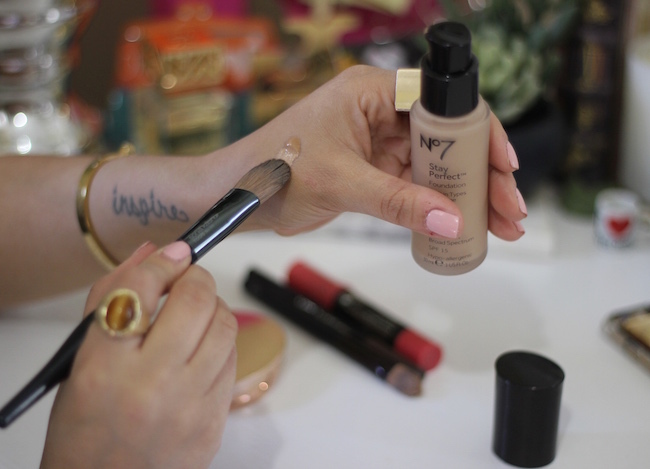 Most women struggle with finding their perfect foundation shade, which is why the No7 color scientists spent 4 years measuring the skin color of almost 3,000 women around the world. 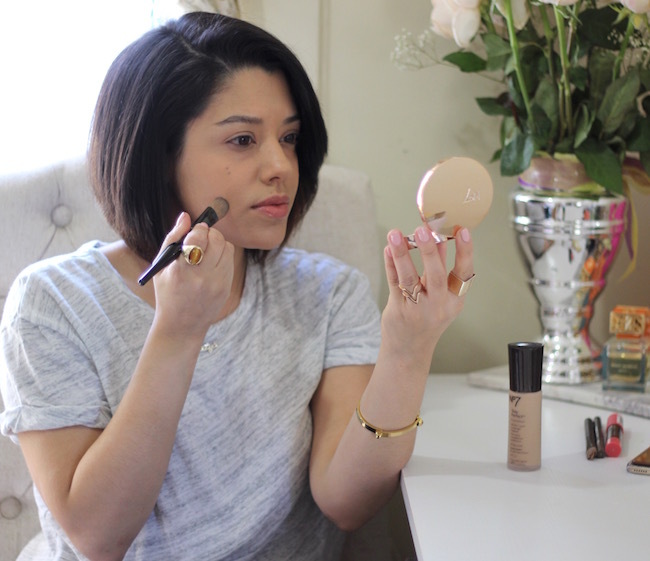 This data helped them to develop a range of skin true foundation shades. Some other fun facts are that it’s fragrance–free, contains SPF and gives up to 17 hours of wear! 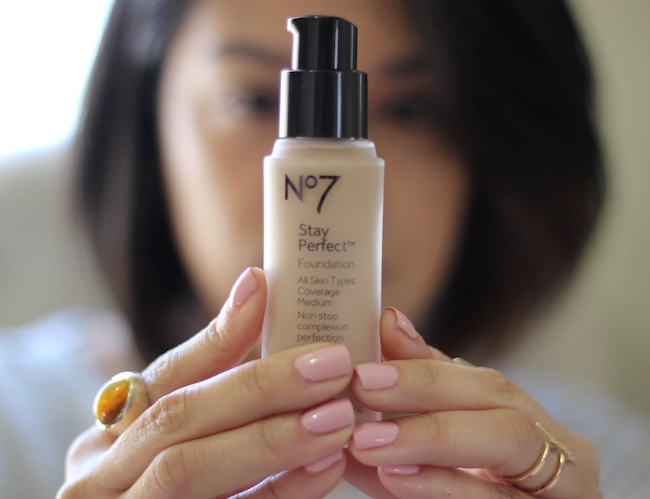 Have you found your perfect foundation shade yet? Thanks so much for checking out today’s post, hope you enjoyed! Ooooh i really like that on you! It's so true though, it can be so so hard to find the exact right shade. I've always struggled with that but I'm gonna have to look into this!